FORD is serious about snatching the VW Golf GTI's place as the default choice for hot hatch customers, giving people plenty of reasons to choose its new Focus ST hot hatch. The previous model was an acquired taste. Available only with a manual transmission, the outgoing Ford Focus ST combined a lairy cabin with engaging if unruly driving habits, including a steering wheel which tugged at your hands under acceleration and an tendency to wag its tail when cornering at pace. This new model is an altogether more sensible proposition. Aggressively-bolstered Recaro seats with eye-popping coloured panels have been ditched in favour of more comfortable chairs. The Ford Focus ST is pitched as a competitor to the Golf GTI. 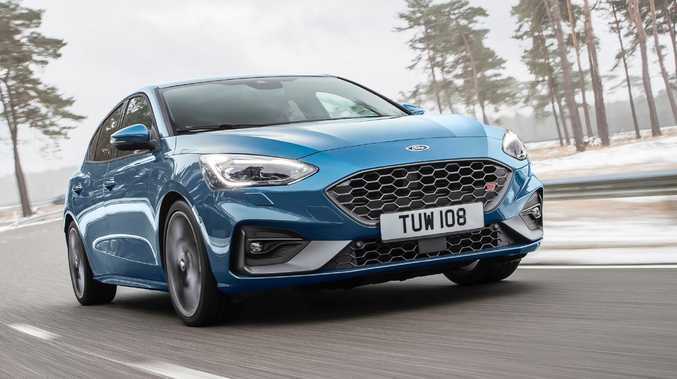 Multi-mode suspension promises to make the ST a more liveable proposition and there's even a seven-speed paddle shift automatic variant for those who would rather not row six of their own gears. A digital dash shared with the Mustang features alongside an eight-inch touchscreen and sophisticated driver aids not available in the previous model. 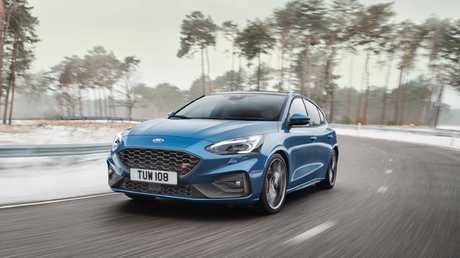 Though it sounds as if the ST has gone soft, Ford insider Lee Roeks insists that is not the case, claiming the new model is "able to switch from refined tourer to focused performance car at the push of a button". "We've incorporated learnings from programmes including our Ford GT supercar and the acclaimed Focus RS to develop a mid-size performance car with a degree of flexibility that's unique in its segment," he says. The Focus ST is only available in the hatch body. Powered by a 206kW and 420Nm version of the 2.3-litre four-cylinder turbo engine found in the Mustang EcoBoost, the Focus ST brings 22kW and 60Nm more than its predecessor - class-leading grunt for a sub-$50,000 hot hatch. 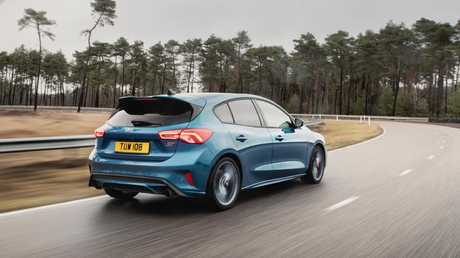 As with rival machinery in the 2019 Golf GTI and Hyundai i30N, the new ST drives the front wheels through an electronically controlled limited-slip differential. The Ford brings variable shock absorbers as well as selectable driving modes to deliver on the promise of a car for every circumstance. The ST won’t arrive in Oz until 2020. Relatively small 18-inch wheels wrapped in grippy Michelin tyres normally found on high-end European performance cars seal the deal. Turbo diesel and wagon variants found overseas won't be offered in Australia. The bad news for enthusiasts is that local examples of the Focus ST will not arrive until early 2020. That date should be taken with a grain of salt, as rolling delays have pushed the three-cylinder Fiesta ST hot hatch originally revealed in March 2017 back to a late 2019 or early 2020 debut in Australia.